Videos of what we do! Please enjoy some of our video's to experience some of our events! 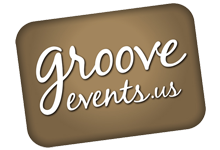 Click this link Groove Videos to see more of our social and corporate events. Ceiling Wash with light, pin spotting, uplighting and more. Fairmont Battery Wharf award winning event. 2016, what a great year, thank you to all our amazing clients! Dj Matt, Zack and Carl Ceremony and wedding reception, What a great wedding night. The Fabulous Mudlow Sisters from Groove Events on Vimeo. Amazing vocals, perfect when paring with a DJ. Keeping the floor packed all night long.